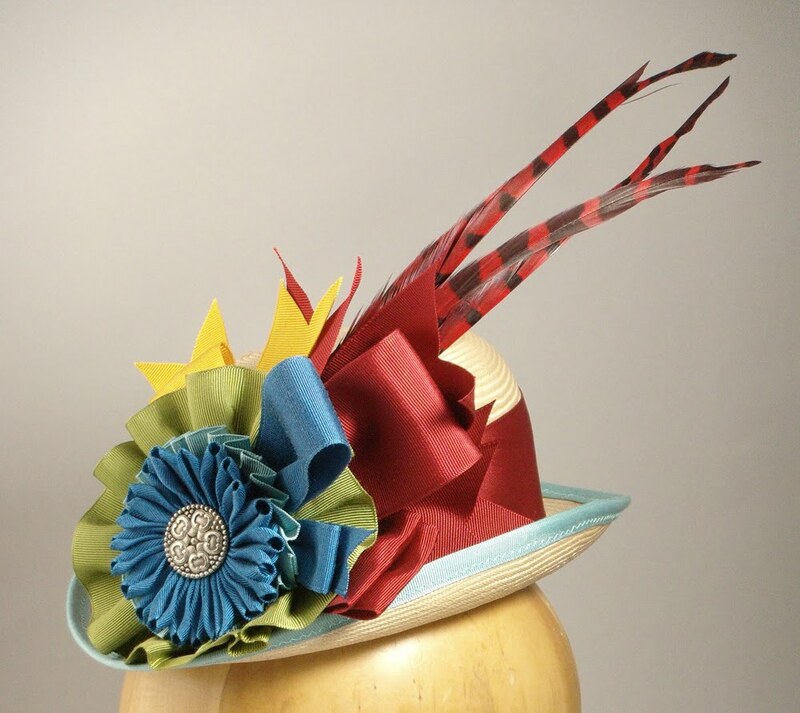 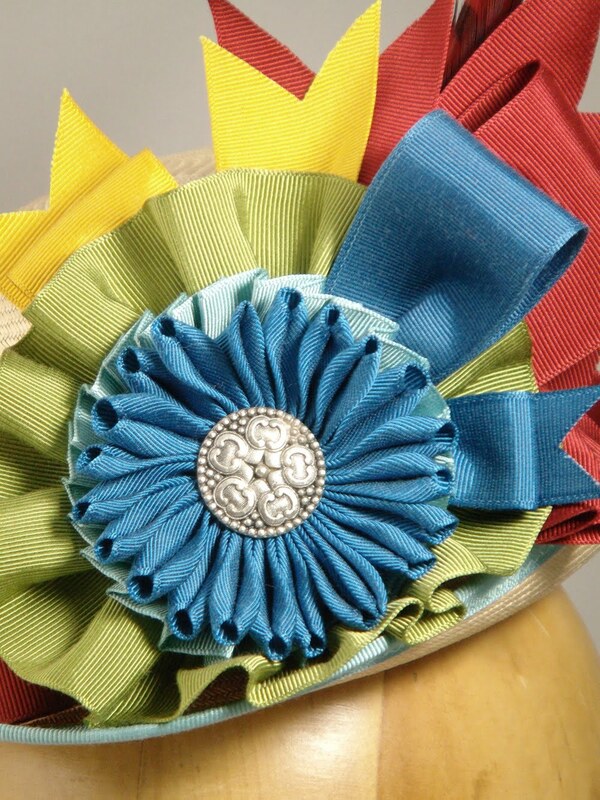 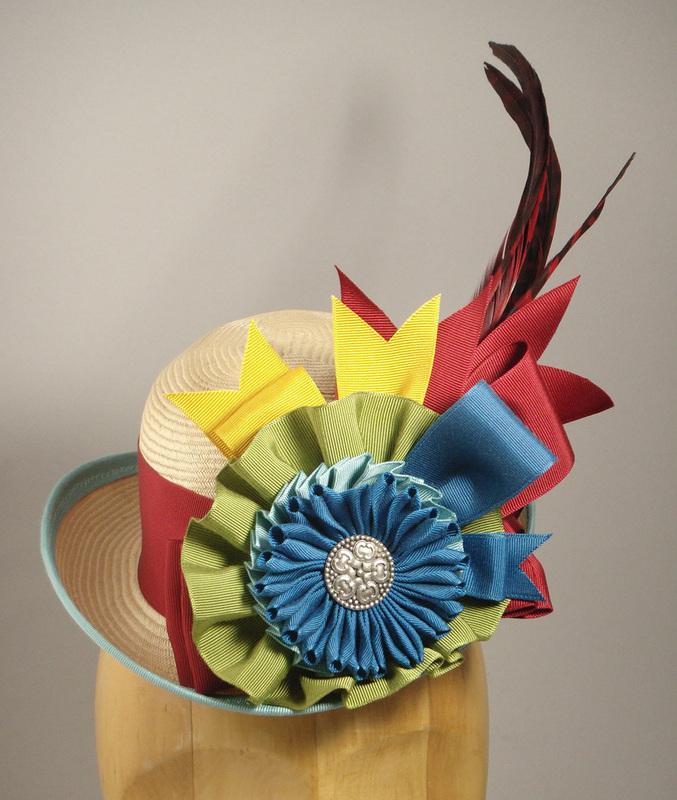 Just in time for spring, this straw 'Kit Kat' derby with loads of colorful ribbonwork. 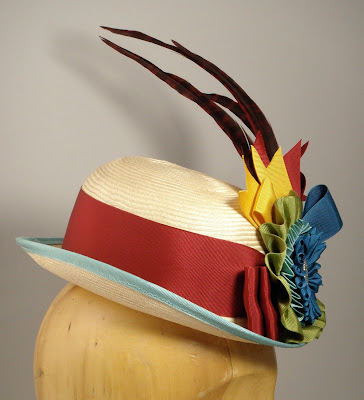 Made of finely woven balibuntal straw, it has a big cockade finished with a silver button and springy red pheasant feathers. 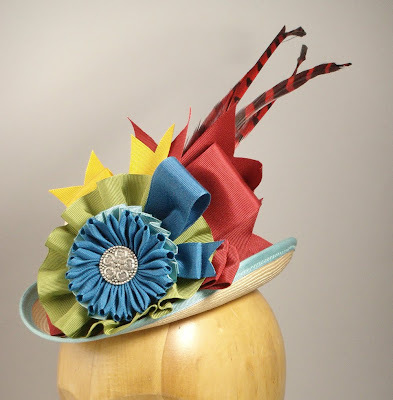 I should have the rest of my straws finished in the next couple of weeks, so stay tuned for more photos.